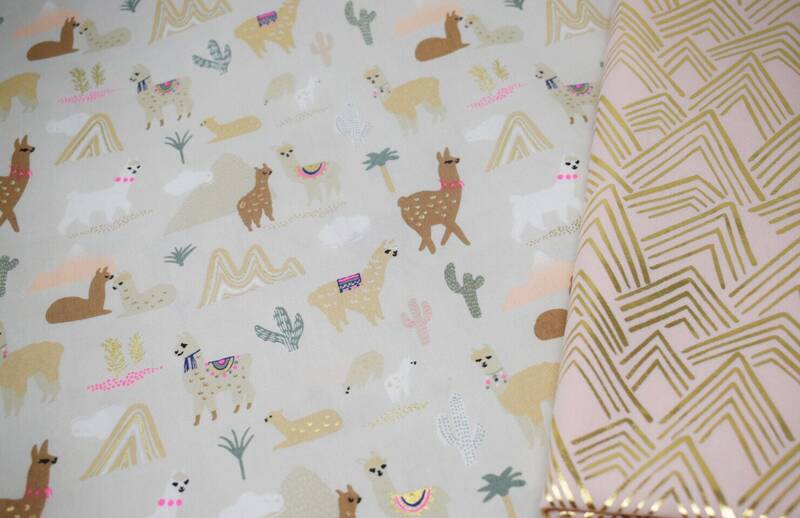 Stunning Rico design printed cotton with gorgeous gold foil from the new Alpaca collection. 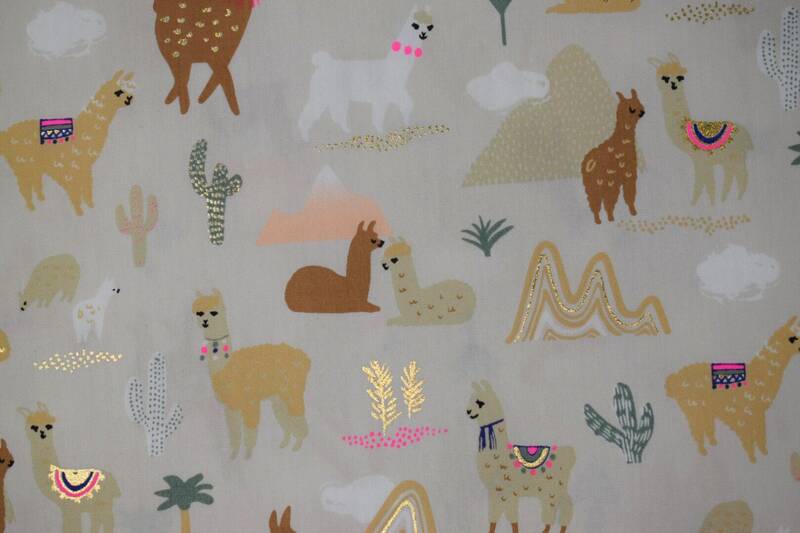 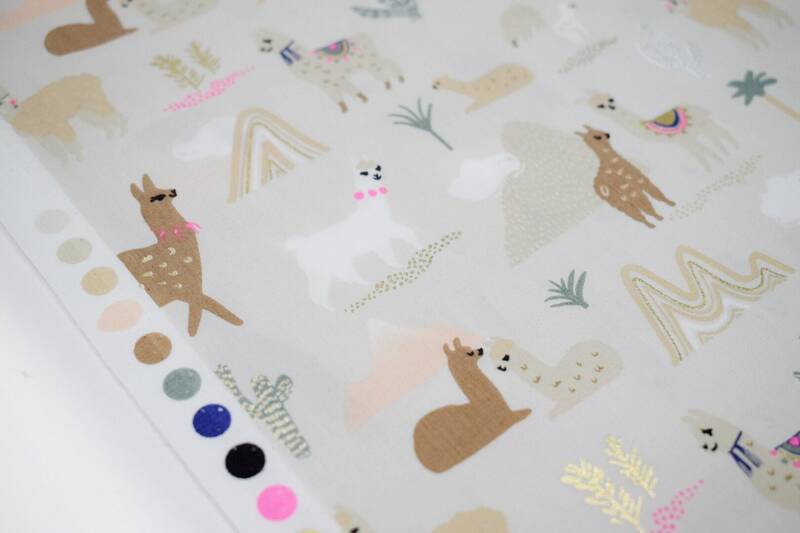 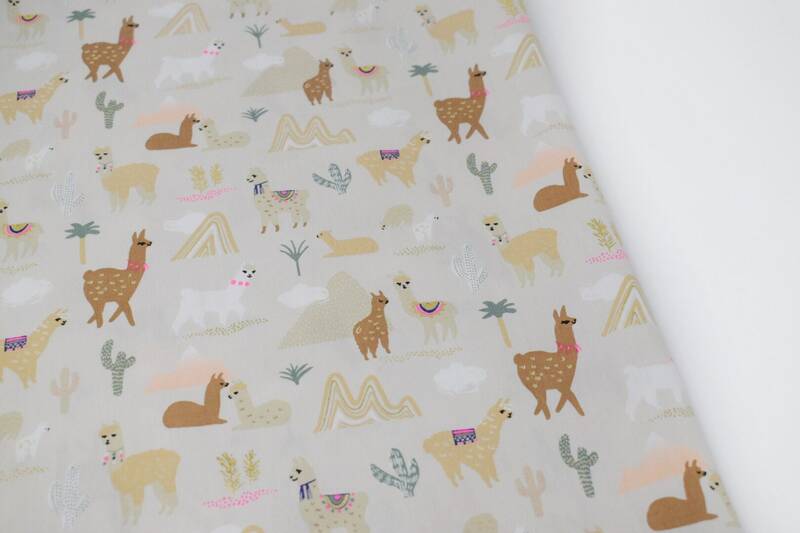 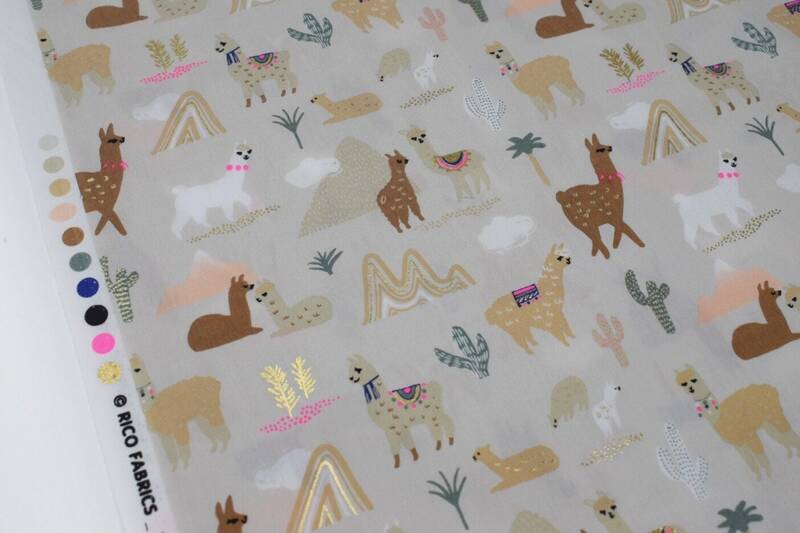 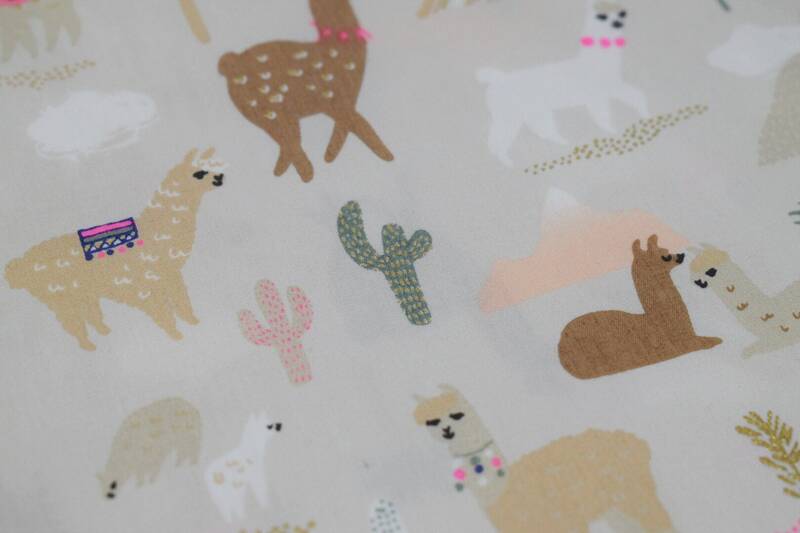 This beautiful 100% cotton fabric has a gorgeous soft stone coloured base with friendly alpacas. 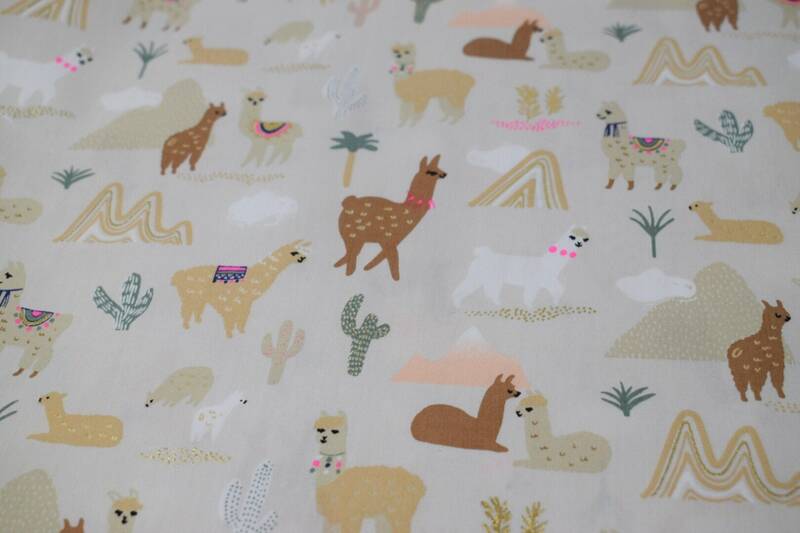 This fabric is approximately 140cm wide. 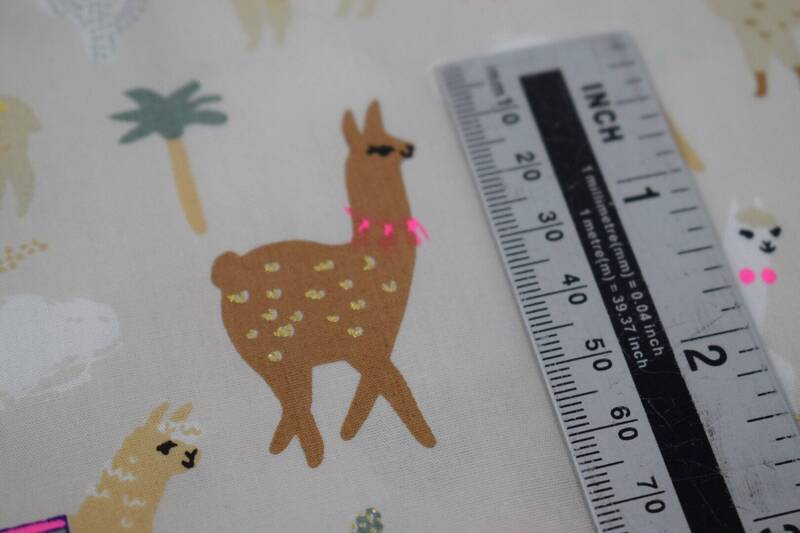 The largest alpaca - as shown on photo - measures approx 6cm tall. 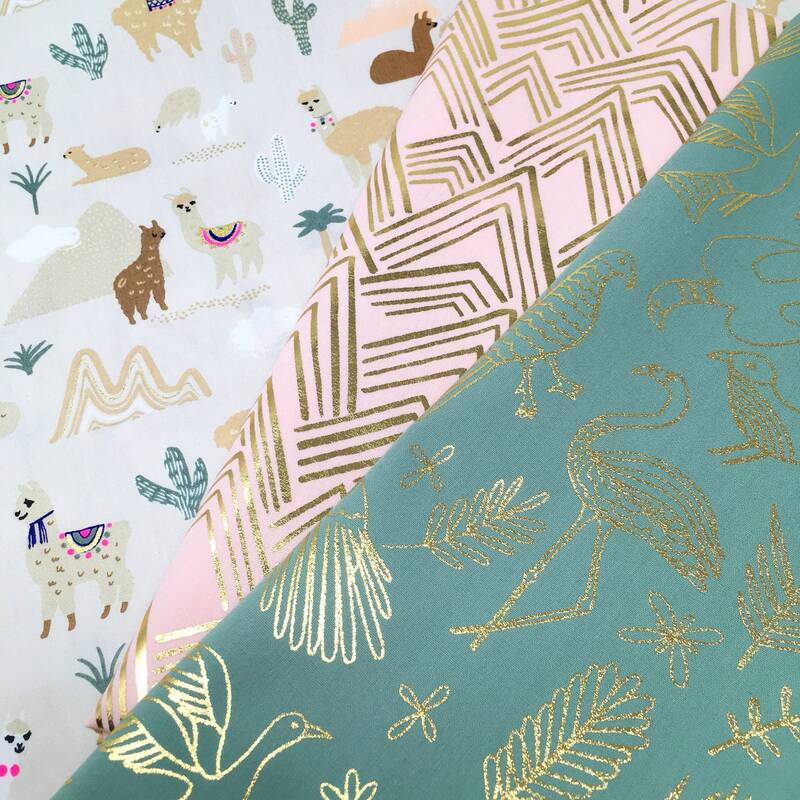 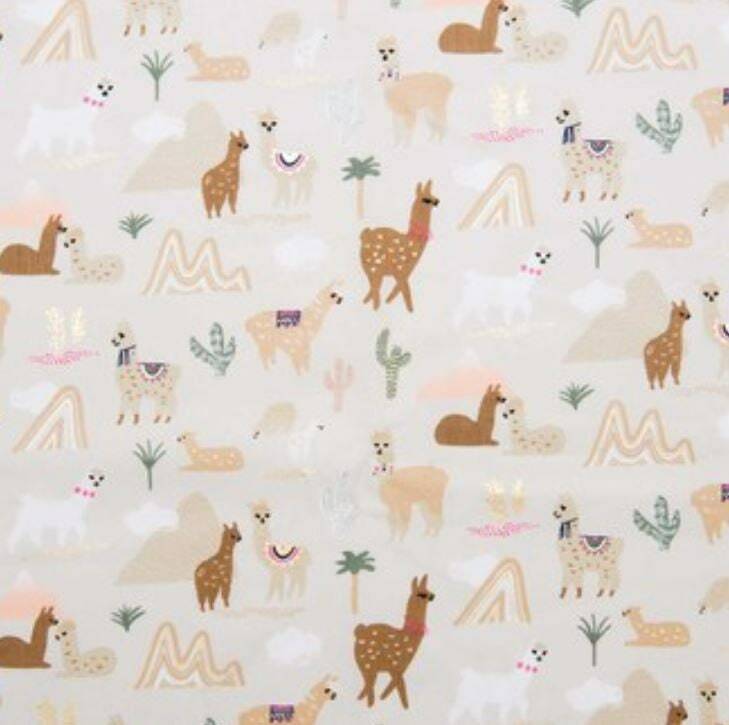 There is a matching blush pink with gold foil moutain printed cotton and a matching sage green gold foil printed cotton available in this Rico Design Alpaca collection.